A moisturizer that offers triple action benefits to visibly minimize the appearance of wrinkles and to help restore firmness to the skin. Immortelle Precious Cream Net Wt. 1.7 oz. Immortelle is a flower with exceptional longevity: it never fades even after it has been picked. 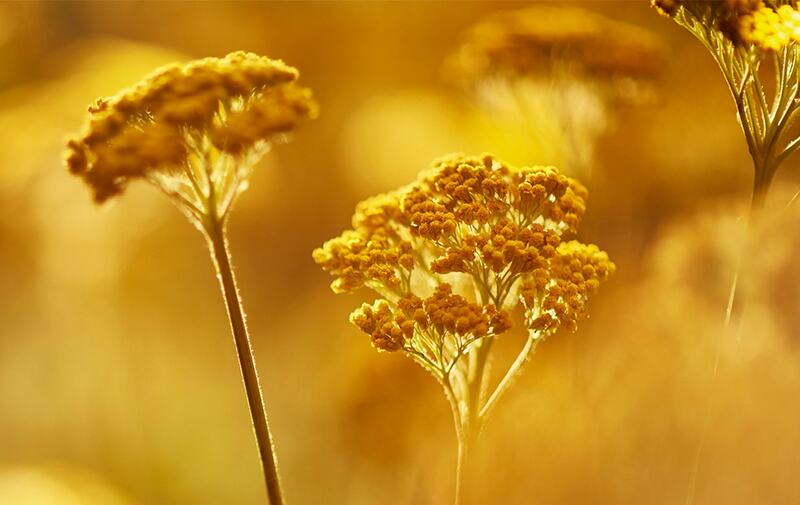 L'Occitane has led the first organic and sustainable Immortelle plantation program in Corsica, ensuring its quality and traceability. Its organic essential oil is rich in active molecules offering unique anti-aging beauty results. Apply the rich and nourishing formula in the morning to a clean, dry face and neck. Massage in the cream with sliding movements from nose to cheek and temples, from forehead to temples, then to the neck. AQUA/WATER - GLYCERIN - CETEARYL ALCOHOL - DICAPRYLYL ETHER - CETYL ALCOHOL - CETYL PALMITATE - DIMETHICONE – BUTYROSPERMUM PARKII (SHEA) BUTTER - OCTYLDODECYL MYRISTATE - MYRISTYL ALCOHOL - CORN STARCH MODIFIED - HELIANTHUS ANNUUS (SUNFLOWER) SEED OIL - HELIANTHUS ANNUUS (SUNFLOWER) SEED EXTRACT - HELICHRYSUM ITALICUM FLOWER OIL - HELICHRYSUM ITALICUM EXTRACT - OENOTHERA BIENNIS (EVENING PRIMROSE) OIL - BORAGO OFFICINALIS SEED OIL - CETEARYL GLUCOSIDE - MYRISTYL GLUCOSIDE - XANTHAN GUM - ADENOSINE - SUCROSE PALMITATE - HYDROGENATED COCO-GLYCERIDES - GLYCERYL LINOLEATE - OCTYLDODECANOL - CARBOMER - TOCOPHERYL ACETATE - ETHYLHEXYLGLYCERIN - PHENOXYETHANOL - CHLORPHENESIN - SODIUM BENZOATE - POTASSIUM SORBATE - TOCOPHEROL - PARFUM/FRAGRANCE - HEXYL CINNAMAL - BENZYL SALICYLATE - ALPHA-ISOMETHYL IONONE - LINALOOL - CITRAL - LIMONENE . This is a really heavy duty cream. It’s unlike anything I’ve true. It’s thick but spreads evenly and keeps my skin hydrated for really long. I’ve been using it for almost a month now and I can tell that a little goes a long way. I've been using it for about 3 months and it has made my skin smoother. It does have a strong smell but I enjoy it. I think compared to the Peony Perfecting cream, I prefer the peony because it balances my skin tone and I think the Immortelle does not improve my skin much. Would not purchase again but I certainly do not regret it! This is my first time using the line and loved the hand cream, eye cream, and hair products. Bought this face cream but seems to be too rich texture for my skin remains on the surface rather than blend in. Also trialed the immortelle face cream which seems perfect but for a more mature skin than mine.